The Fiskars 12-Inch Hanging Planter is a chic modern hanging planter that is built to stand the test of time. 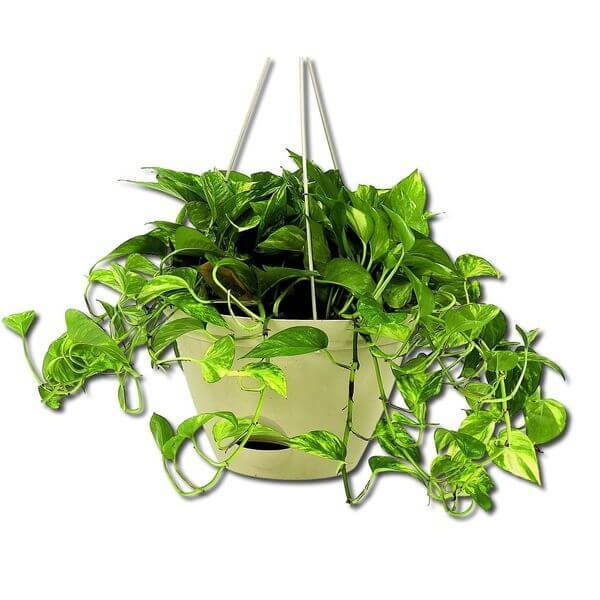 Crafted out of heavy-duty resin, the planter has a UV-protected finish that helps to keep its thyme green color from fading in the sun, and it comes with a heavy-duty 21-inch green chain hanger. The ASSIS Hanging Decorative Flower Pot allows plants to thrive while adding something pretty to your home, porch, patio or balcony. A hole in the bottom of the resin planter lets water drain out to promote healthy growth, and the heavy-duty galvanized steel chains and hook ensure secure mounting wherever you desire. Basket Dimensions: 8″ in diameter, 4.5″ in height. Chain length: 15″. Mkono is a registered trademark and our product is professional manufacturing and sole selling. 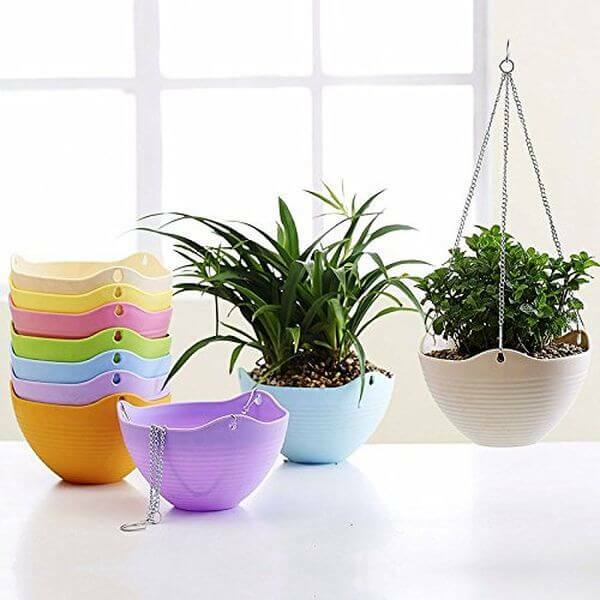 Simplify plant care with the Mkono Hanging Flower Pot! This self-watering design greatly reduces the need for maintenance when you hang the flower pot outdoors, and its resin materials are durable enough to withstand the effects of weather. The pot is even breathable to promote stronger roots and prevent rotting. Get the look of a woven wicker planter without all the worry about wear and tear! 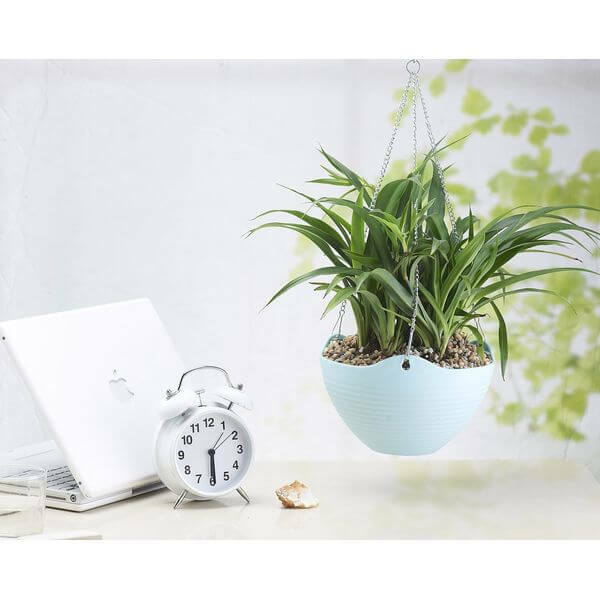 The Keter Round Plastic Resin Garden Plant Hanger looks just like a woven planter but is actually made from plastic resin, a material that is far more durable. Black powder coated iron chains and a matching hook accompany the pot. 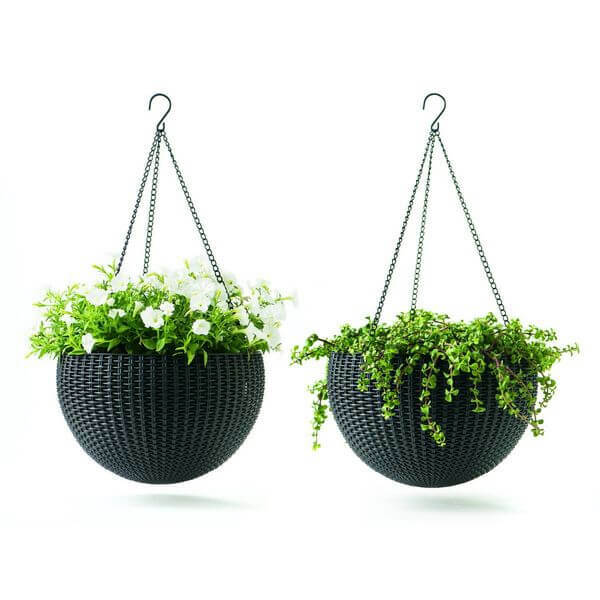 Hanging a planter has never been easier than it is with the Misco Flare Hanging Planter! 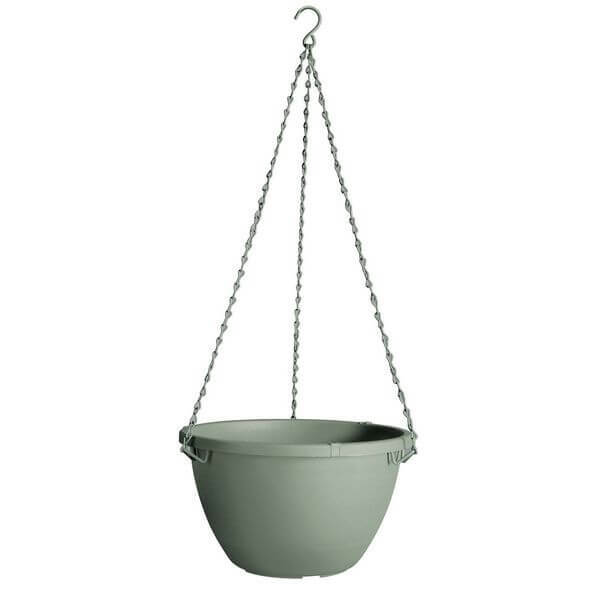 Unlike other hanging pots, this planter has a swivel hook that rotates 360 degrees and features unique tabs that ensure the hangers stay secure on the pot. The bottom of the pot is ventilated to let air in and water out. 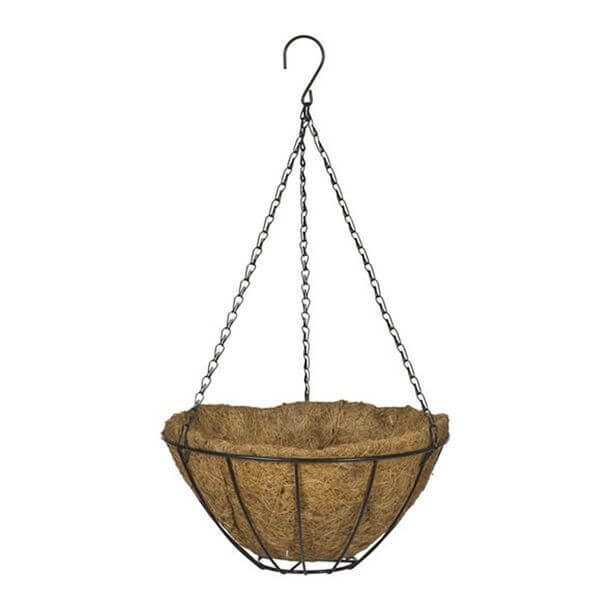 The CobraCo Black Growers Hanging Basket gives you everything you need to add a classic wire frame hanging basket to your exterior. With this set, you receive a rust-resistant powder coated metal basket plus a coco coir liner sized to fit perfectly inside of it. A 3-piece hanging chain rounds out the set.